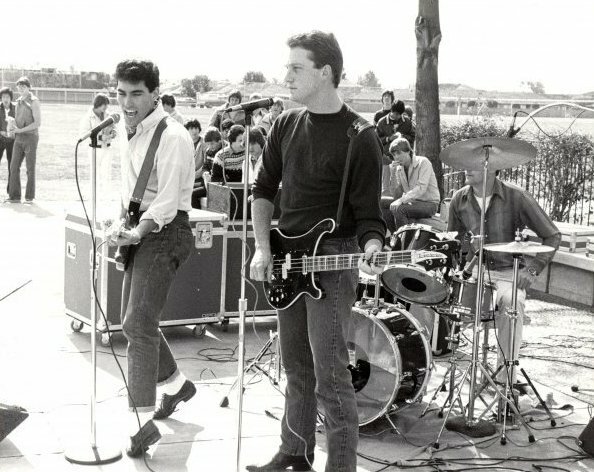 The Lifesavers (and Undercover) formed out of members that came from two earlier bands, J.C. Rose and Boaz. Both bands started in 1978. 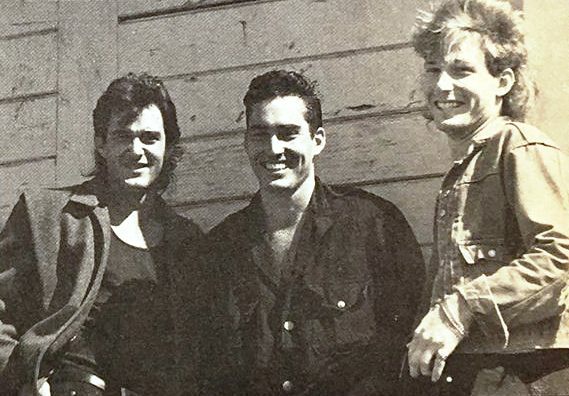 They were described by John J. Thompson as “edgier than Larry Norman and Love Song.” Chris Wimber was in Boaz before forming The Lifesavors, but J.C. Rose and Boaz had line-ups that were changing and intermixing. By 1979, J.C. Rose was Jim Nicolson, Joe Taylor, and Dave Hackbarth while Boaz was Chris Wimber, Danny Pavlis, Ray Hersom and Rick Alba (among a few others). J.C. Rose was also noted as having a demo tape, but it is unknown if Boaz ever recorded. Gary Wilson tells what he remembers of J.C. Rose in the book God’s Not Dead (And Neither Are We). As of 1979, Jim Nicolson and Joe Taylor were both in the band, and they had a tape that Wilson liked. They were eventually able to convinced Wilson to join on drums. About 4-6 weeks after he joined, the band split up. 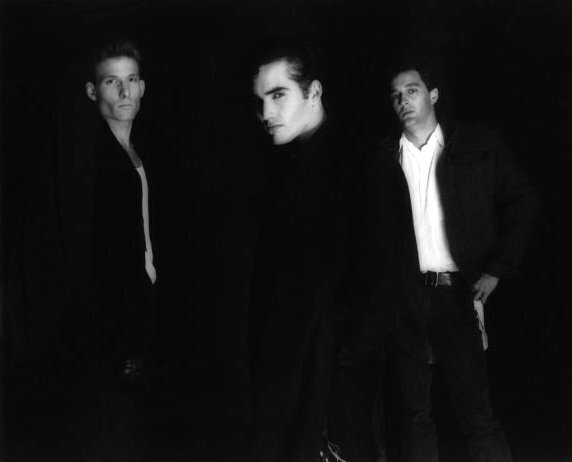 Jim Nicolson, Joe Taylor, Danny Pavlis (drums), and Rick Alba (bass) started Undercover. Undercover started rehearsing in a greenhouse owned by Danny’s parents. Chris Wimber and Ray Hersom formed The Lifesavors. “I played keys in Boaz starting in 1978. I met them when my drummer-since-childhood Frank Pipitone auditioned and joined J.C. Rose. Frank and I had ‘got saved’ at a hippie bible study group at the home of Ross Mann, and we had a hippy folk trio with Ross that broke up when Frank joined J.C. Rose. Ojo had a friend, Chris Wimber, with a band that needed a singer and keyboard player, so Ross and I joined up and there was Boaz. “Chris’ dad being John Wimber, we found ourselves opening for Lonnie Frisbee a number of times. 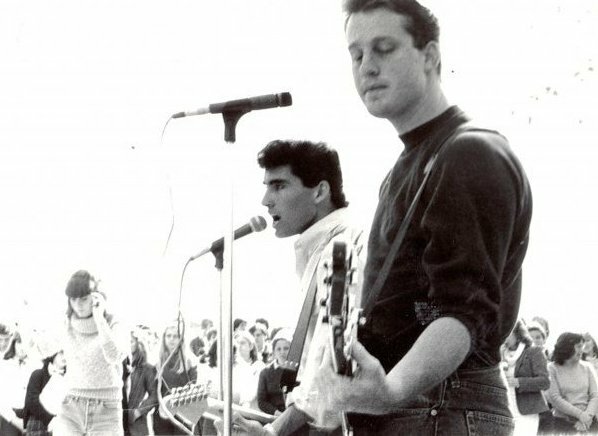 Then we got some local notoriety for going, (gasp) “New Wave” when I wrote the song, “Francine” in 1979. This was the only Boaz song to outlive the big switcheroo of personnel when JC Rose and Boaz became Undercover and the Lifesavors. 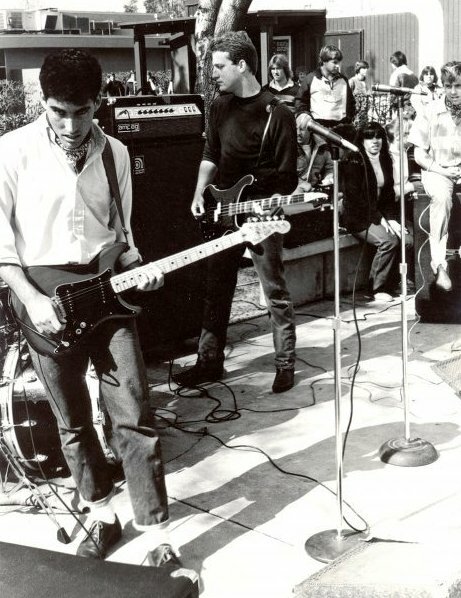 Knott described the band’s early sound as “psuedo punk rock songs.” Many outlets refer to Us Kids as the first Christian Punk album (although No Sham! by the Bill Mason Band preceded it by two years). 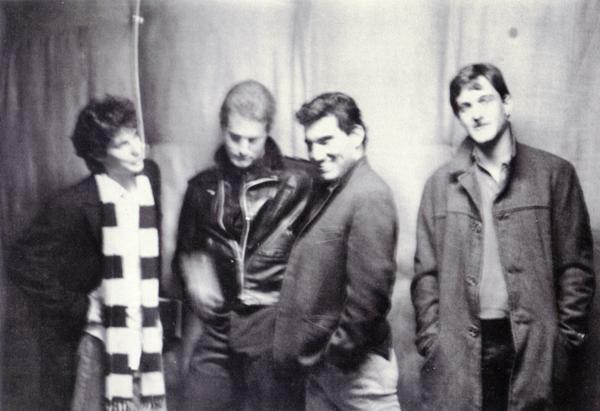 The album’s producer Thom Roy refers to the sound as Power Pop. The band had its fair share of controversy in the early days, including being banned from playing at Calvary Chapels because Knott would dance on stage during concerts. 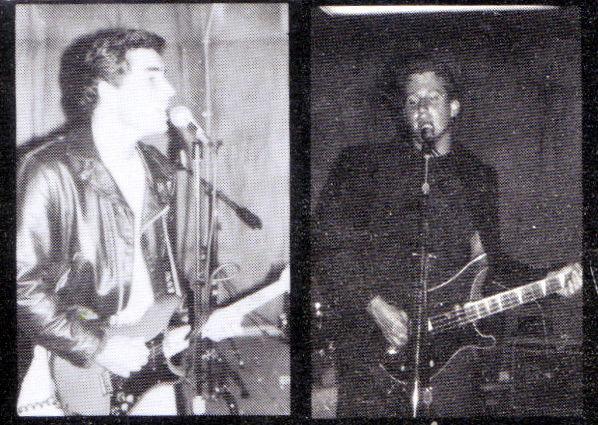 But the band also played local California rock clubs with other punk icons, including Darby Crash. At some point in 1982, Krishchak leaves the band and Knott takes over to record the two song You and Me single. John and Brandon are not listed on this release. The line-up for the single is just the trio of Knott, Wimber, and Annis. 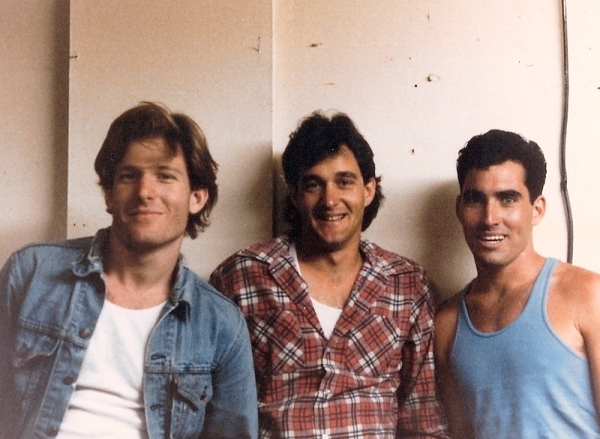 The full story of what happened is unknown at this time, but Kevin Sorrells had this to say at one time about internal disagreements within the band: “Mark got jealous of Mike and quit after [he had] invited Mike in the band in the first place…. We begged Mark not to leave. [Chris] Wimber always had to be the boss, and that caused tension. But Chris was a very creative guy [with a] strong personality and a trendsetter. I love the guy and miss him.” Krishchak was also known to later refer to Knott on discussion boards as a “spawn of Satan” that he would never work with again. 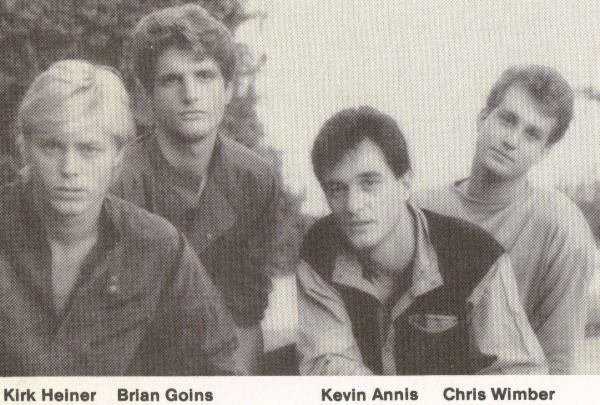 At some point after they recorded the 1982 single, Brian Goins was brought into the band. One live photo with Knott, Wimber, Annis, and Goins does exist, but according to Annis there was only one concert with this line up. 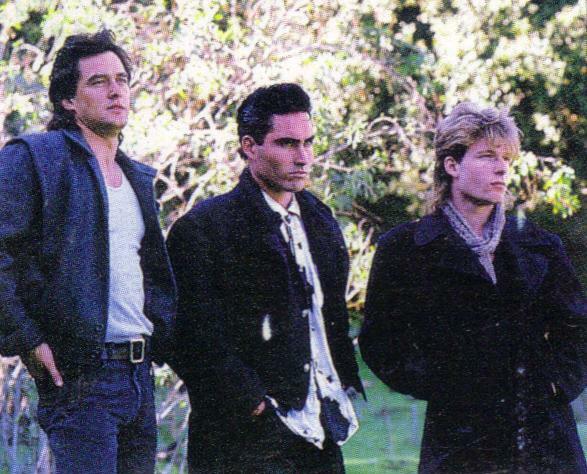 The band began recording the first version of Dream Life with Knott on lead vocals and guitars. At some point during the recording, Knott says that John Wimber told them that he wanted the band to travel around the United States planting churches. Knott didn’t feel led to do that, so he left the band and formed Idle Lovell. Kirk Heiner joined the band after Knott left. 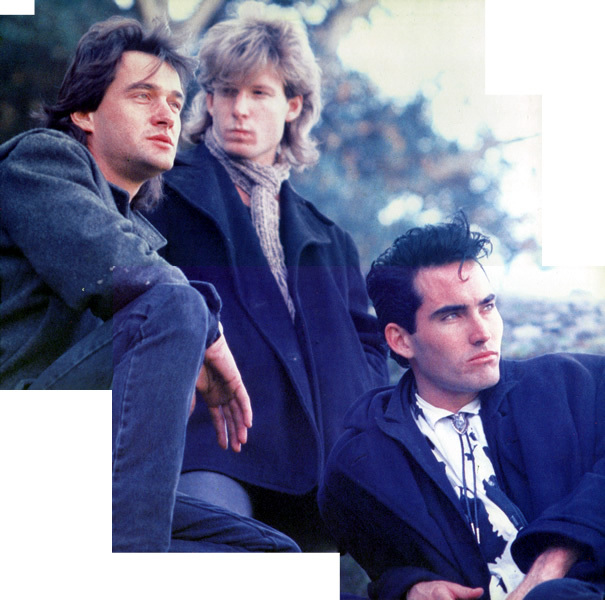 According to Heiner, at this point they decided to re-record the vocals on Dream Life, with Goins singing lead vocals on about five songs and Heiner handling lead vocals on about six. Knott’s background vocals were left in the mix, as well as some of his guitar work. Most songs on the Dream Life album are credited in part to Knott. 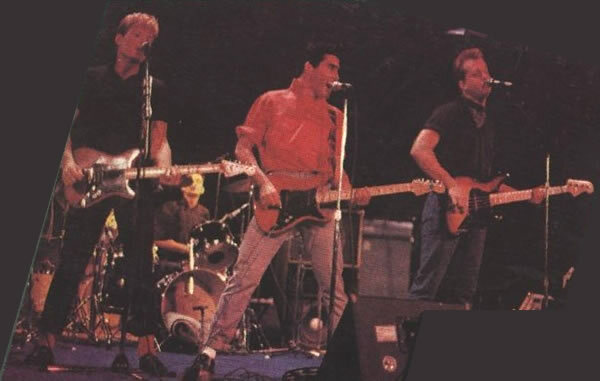 At the time of the album’s release, Annis and Wimber are still listed as members, with Kirk Heiner now listed as guitarist and Brian Goins listed as the new vocalist. Goins was not able to tour for Dream Life, so Krishchak was brought back in for the tour. Dream Life was also the last official album by The Lifesavors before Knott took over for good and changed the name to simply Lifesavers. 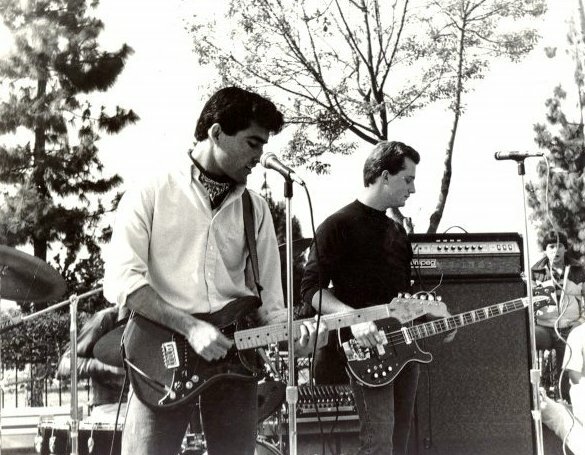 At some point between 1984 and 1986, several changes occurred: Krishchak left the band (with Knott taking over as leader), Wimber also left (to be replaced by Brian Doidge – formerly of The Chosen Ones – on bass), and the name of the band was changed slightly. In 1986, Lifesavers signed to Frontline Records and released Kiss of Life. 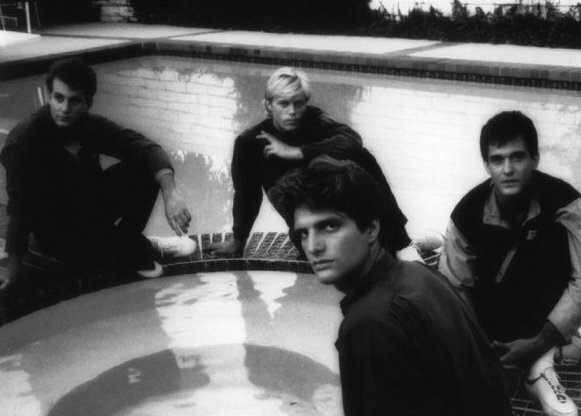 The name was not the only thing to change – Knott also steered the band in a more alternative direction, drawing comparisons to The Psychedelic Furs. Some sources also claim that Knott no longer likes this album, even though some songs do occasionally make it in to his solo live shows from time to time. In 1987, Knott decided to take Lifesavers in a darker direction, both musically and lyrically. This major change in direction caused him to also change the name of the band to Lifesavers Underground (also known as L.S.U. or L.S. Underground). Several albums were released under this name and it appeared that the Lifesavers were no more. In reality, the Lifesavers were just dormant and in 1991 Knott would begin releasing albums under both names. 1991’s Poplife saw the Lifesavers head in a more surf rock direction. It also saw an entirely new band behind Knott, with Michael Sauerbrey on bass guitar and Steve Hindalong (The Choir) handling drums. The Lifesavers went quiet for a few more years until 1995 when they released Huntington Beach. This album saw the return of Doidge on bass guitar and the addition of Chuck Cummings on drums. Huntington Beach was also the heaviest Lifesavers album to date – a return to their punk rock roots. Songwriting was split between Doidge and Knott on this album, with less spiritual lyrics that focused on many humorous aspects of life on the title beach. The late 1990s saw several Lifesavers album re-issued by various labels – Kiss of Life in 1995 on Alarma records and both Us Kids and Poplife on M8 records in 1999. After that, the Lifesavers went dormant again for almost a decade. Chris Wimber went on to be a record producer as well as manager of the Vineyard Music Group. Sadly, Chris Wimber died on February 6, 1998 at his Southern California home after a long-term battle with melanoma cancer. He was 40. Almost two months prior to Wimber’s death his father, John, founder of the Vineyard stream of churches, died from a brain hemorrhage at age 63. Through the years after the 1990s, there were various rumors about different versions of Lifesavers making a come back. Most of these were not based on substantial claims from members of the band. Krishchak even made mention of trying to get the band back together (without Knott) on different Christian band message boards. In June 2008, the new bass player for the Lifesavers, Joshua Lory, announced that a new album was being recorded. Joining Lory and Knott on the album would be Nick White on drums and Cliffy Huntington on guitar. No definite plans or release dates were initially announced, but the band mentioned that songs were being worked on in a Beach Boys / Ramones vibe.